very much disappointed! spend so much time and in the end quality is nothing! I also don't like the fact that all these new Auto strains and in general, all those new "extra high 101% THC" strains ruin the genetics. All the old strains, the OG's kinda, get lost under all these new bla bla strains. It's good to have a variation but not under these circumstances. @PigBearMan, Hahaha thats right, nowadays they got eclipsed by THC content and easy autos like u said ... I see a high percentage of people growing auto strains, and to me is a sad facta as many think they are growing same strain as feminized.. but medical CBD is a good use for them.. I am sure there is enought people yet that appreciate old strains like us !! So which old school are your favourites mate? Super Silver Haze and White Whidow. Wow,i think that's what İ needed. 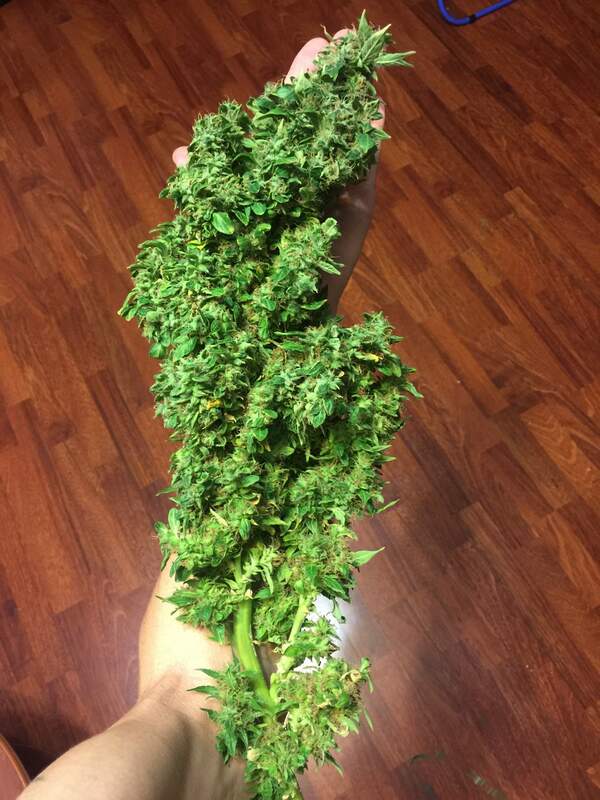 İ have a gorilla glue still going on,its in 13th week,hairs are brown and curled,buds get mass but all trics are clear.Your gg is the closest one to my situation.İ have a feeling that its stunted but İ want to give it some more time before chopping.Buds look green and healthy with their sugar leaves but all fan leaves are dead. Edit after a week : Nope,it's not stunted.It goes well,trics have started turning half milky.I searched about it and found that it happens when you stop giving nutrients.That's what I did as well because I thought there was only 2-3 weeks to harvest few weeks ago but the prediction was not accurate,they are stil maturing.Buds look very healthy,snowy,smells simply amazing,like pistachio because I've been flushing it for 4 weeks.I hope it finishes in 2 weeks.